Our last day of the 2018-19 season is Sunday, March 31. Thank you for your patronage and sharing your skiing joy with the Rikert Staff throughout the past 5 months. This was a great season, filled with all types of weather, and some of the best skiing events. We look forward to seeing you and many new skiing friends next season. Pass it on! Have a super summer and keep enjoying our great outdoors! DONATE TODAY! The program will work to serve people with physical limitations, allowing them to access the great outdoors and enjoy the physical and mental benefits of year-round exercise. 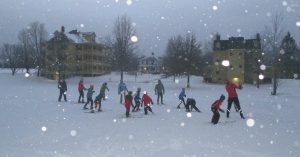 Interested in our local Nordic Ski Club? 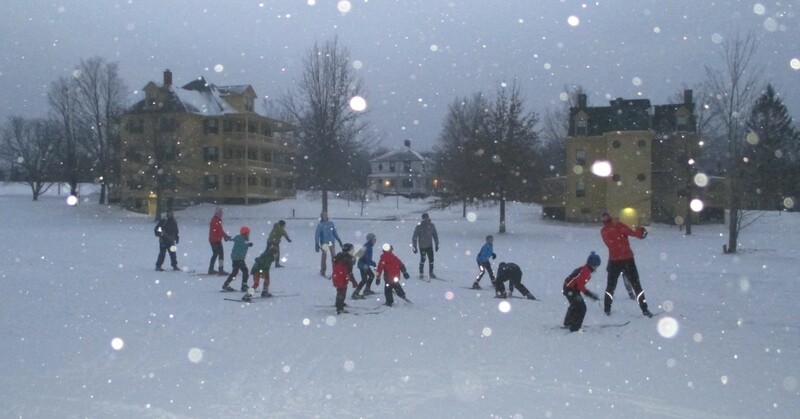 Great fun for Individuals and Families with programs such as kids-BKL and Masters skiing with Ryan Kerrigan. Click button for more information. It was lovely to slip on skis and head into the woods when there was no snow in the valley. The trails were in very good shape. The staff are helpful with their recommendations for trails, or equipment if needed. Click image for live webcam. Copyright © 2019 Rikert Nordic Center. Powered by WordPress. Theme: Accelerate by ThemeGrill.